I’m finally back with another pet post. Did you miss the series? Well some of you might have been glad it was missing for a while but I think I have some fans out there who like meeting people who feel the same about their pets as I do. And today I have Erin of DIY on the Cheap and I have loved following her on Instagram. In fact I want to kidnap her little cutie. Gosh I think I want to kidnap all little dogs, especially when they are mischievous and funny. Hello, and thanks so much, Julia, for inviting me to be a part of this series! My name is Erin Spain and I blog at DIY on the Cheap, where you will find decorating ideas, crafts and creative home projects. 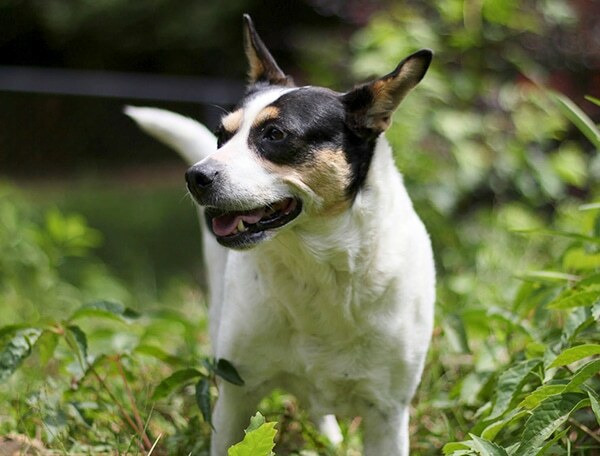 Meet Indy, our mischievous rat terrier. Indy always keeps us on our toes, that’s for sure. She is sneaky and loves to get into trouble. I could write pages upon pages of naughty things she has done, but the truth is that she is really the sweetest dog you’ll ever meet. She loves her family, even if it is made up of 3 wild little boys. Regardless of the mischief Indy likes to cause — for example, she loves to get into the garbage and has figured out how to open a closet door, push the pedal and pop the lid open just to get a few yummy morsels of trash (seriously!) — we really can’t imagine our family without her. We adopted her almost 9 years ago. As our kids came along, she was very tolerant of the fact that we kept bringing babies home. She loves “her” babies, and I’m sure it has something to do with the fact that they provide her with plenty of yummy crumbs to eat! She has always been very sweet with our boys — never aggressive toward them. She’s actually quite protective of them. I have had dogs in my life since I was born, and I really can’t imagine not having one. They provide us with unconditional love and companionship, and they really are precious. When we adopted Indy, she was extremely overweight and unhealthy, and we were told that she had been confiscated in a drug bust. We are happy to be able to provide her with a much happier, healthier life than the one she originally came from. A few years ago, Indy tore a ligament and had to have surgery and wear the “cone of shame.” You would never know it now! She’s as spunky and wild as ever. Also, she loves having her picture taken. I literally can’t take photos of anything without her sitting in front of the camera and posing. If she sees a camera in my hand, she won’t get out of the way. If you’d like to see more of Indy, I post pictures of her on Instagram. She wishes she was a show dog, but since she’s not, she will settle for being an Instagram/blog star. Click HERE to read about this makeover. 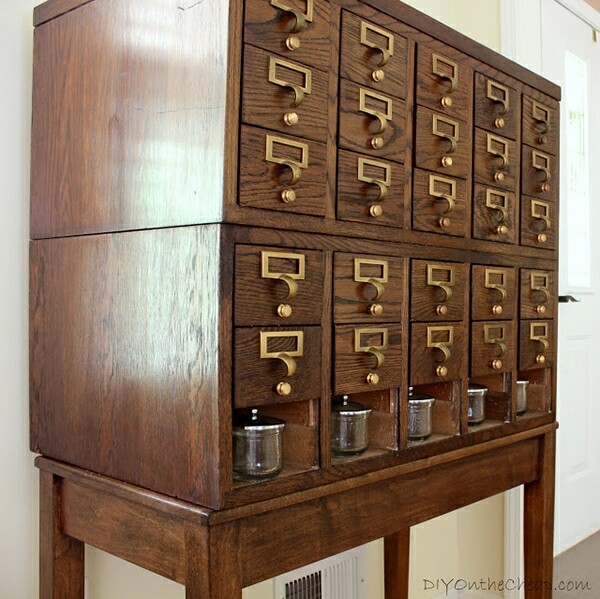 Click HERE to see how Erin refinished this card catalog. 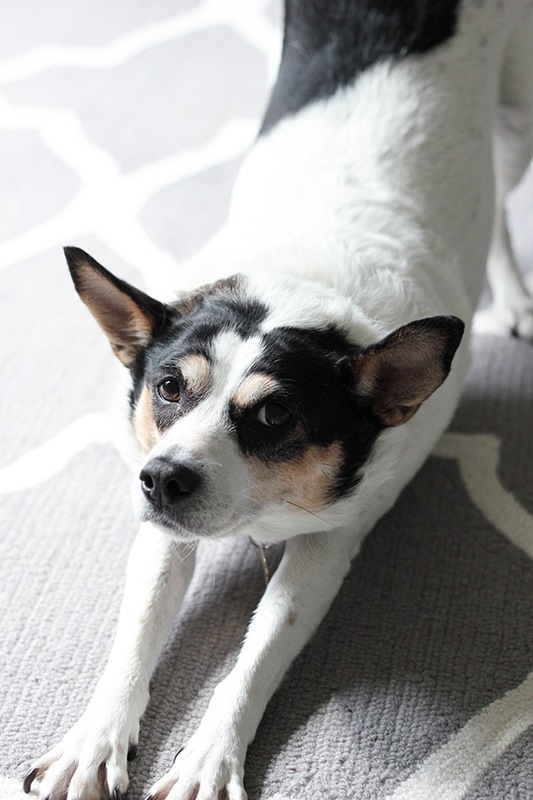 I hope you enjoyed this weeks “Living Pretty with Your Pets” and if you did you can visit Erin by clicking HERE. Have a wonderful weekend. See you next week. 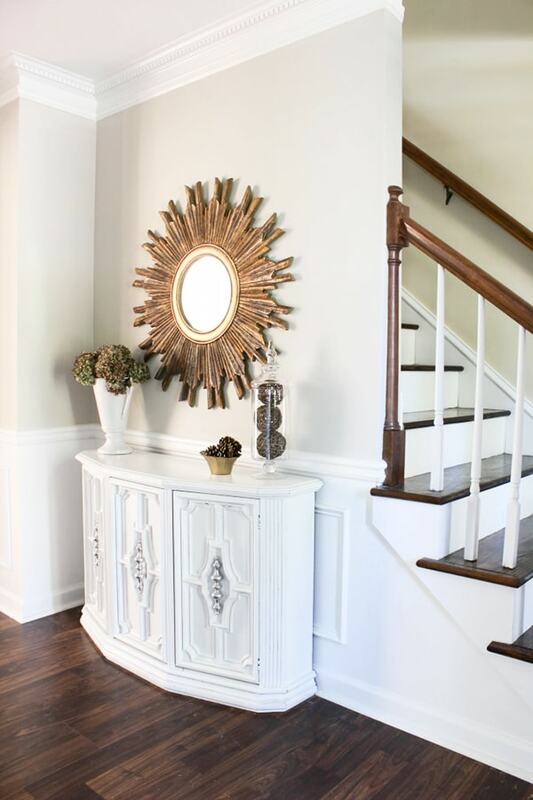 I’m excited about the Blogger Stylin Home Tours which are starting on Monday. 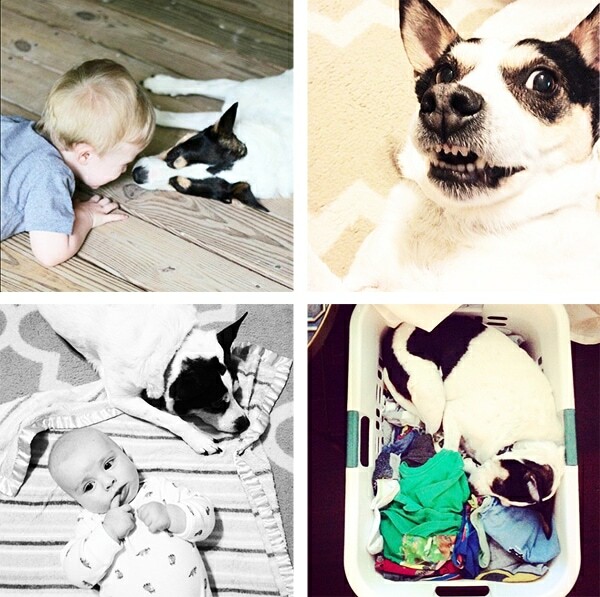 The pets are a big reason why I follow your blog! Love Erin and her pup! Ahh, such a cute doggie! Indy looks like a fun and loving little girl. Thank you for sharing! 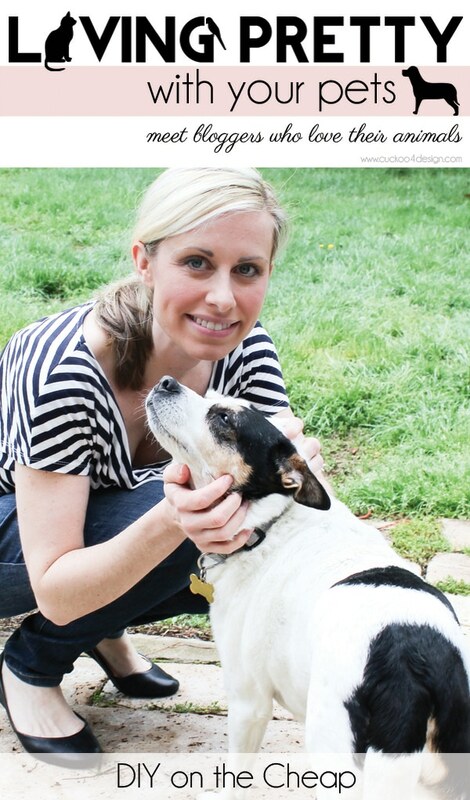 erin is adorable- love her projects and her pup! A home with out a pet is boring! Indy is adorable and I’m so happy she has a wonderful home and family. Your home is beautiful. Thanks for sharing. 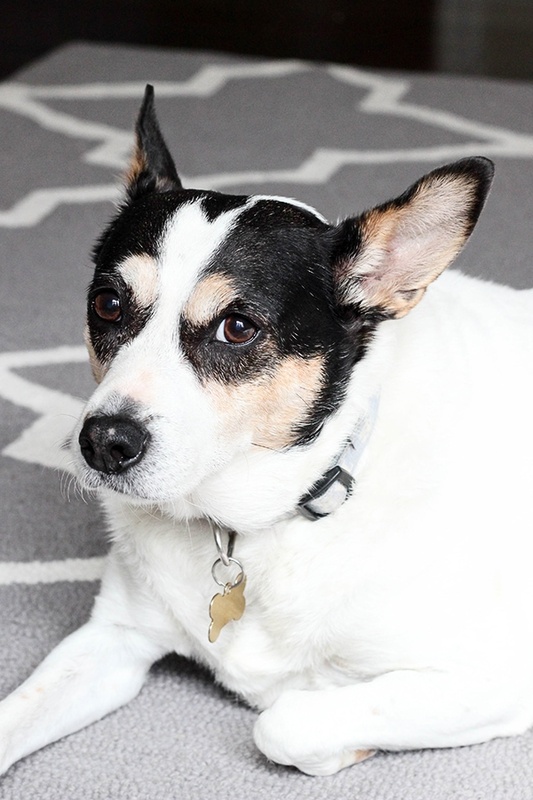 I love the living pretty with your pets series! You introduce us to some of the friendliest animals and their owners! Erin’s home looks absolutely beautiful! I am in love with Indy and your babes and your house is gorgeous. 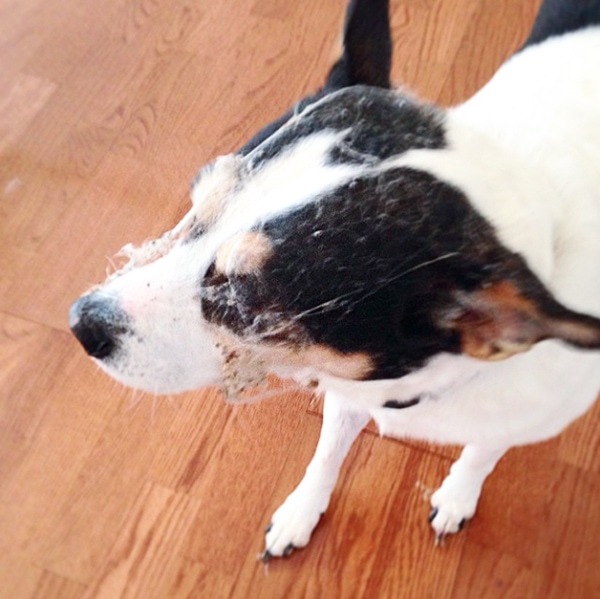 You don’t even want to know what my tiny fur babies can find in my house……. things I have looked for a few months, thengave up on ever finding again. I have some (Sadie Lady Kitty Kat that loves to steal and hide stuff….. especially gold, diamonds and batteries……. then my Christmas born fur pups find them and MORE!